My daughter has taken up knitting...and she already haunts yarn shops! Oh Stacy that yarn looks so soft! It is every Wednesday and you should link in! What a wonderful idea to use your stash:) Hope that you have a wonderfully creative day my friend, HUGS! Ooooh, your pictures are beautiful - I love the one with your kitty! 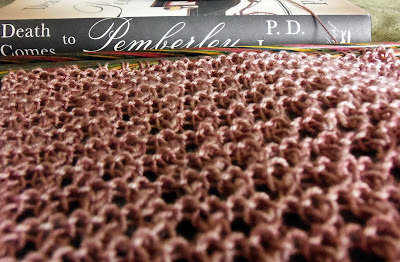 Both my book and my knitting are UFOs - sewing has possessed me! 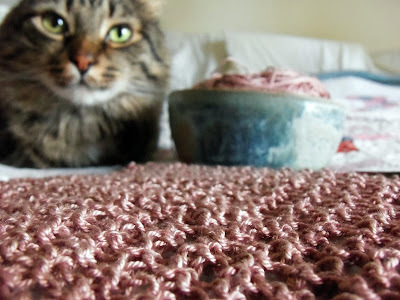 That yarn looks scrumptious! It appears so soft and the color is gorgeous! I love your goal..to use up your stash before buying more yarn. That's a goal I'm trying to stick with, too..fabric, not yarn, though. 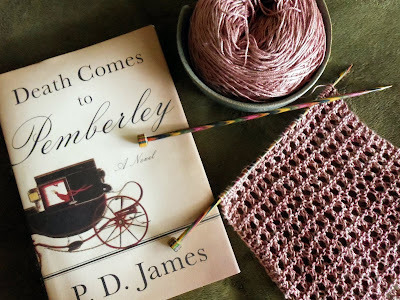 I'm not knitting anything at the moment (finished the poncho) and I just finished reading The Girl With The Dragon Tattoo. Ii haven't started another book yet. I'm currently working on some fingerless gloves for my mother-in-law. I have a nightstand full of books that I can't seem to get interested in opening up. I love the idea of busting through stash. I just have piles and piles of remnants of skeins -- there is not enough to make much but I'm not sure what to do with it all. Are you watching Downton Abbey? Love it! Very pretty color that you picked for your scarf! My "project" is my craft room!